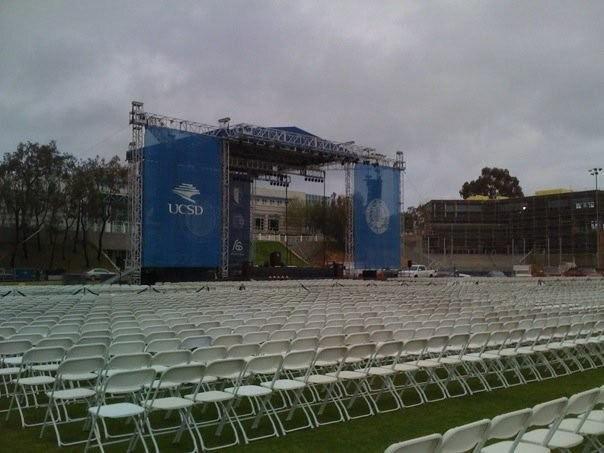 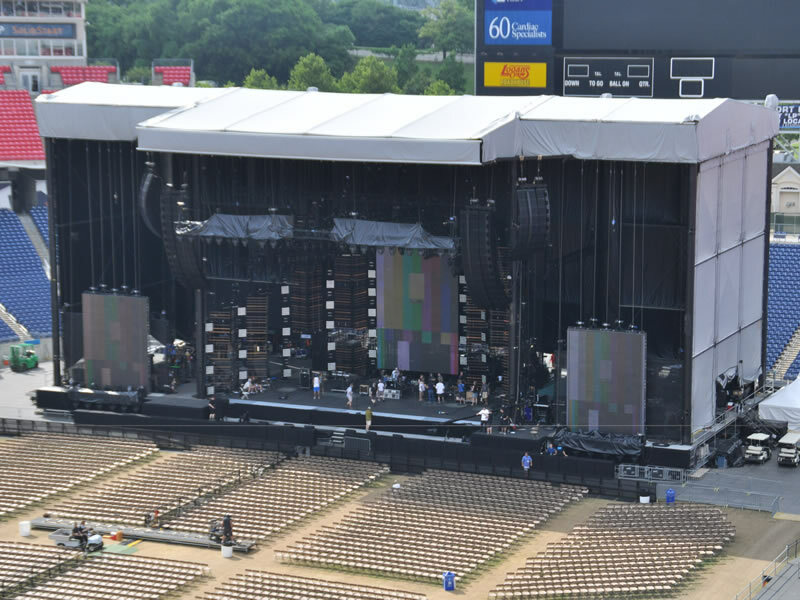 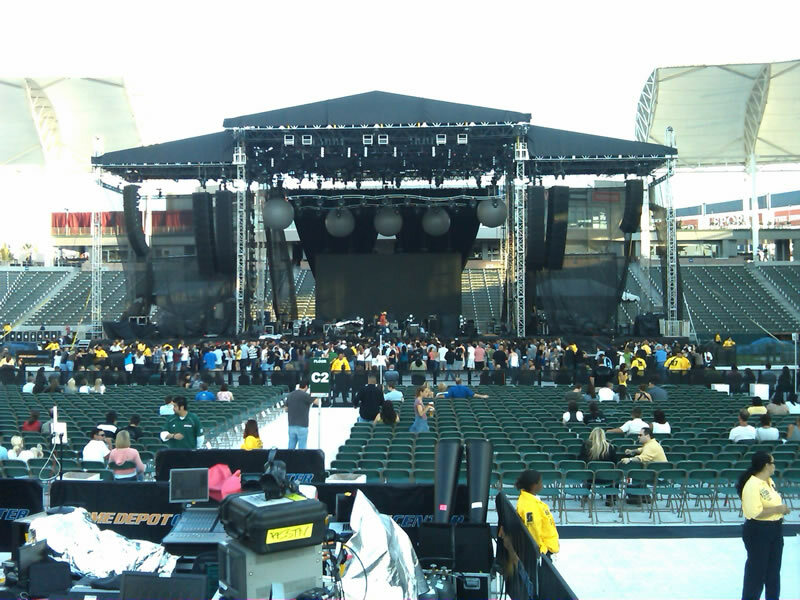 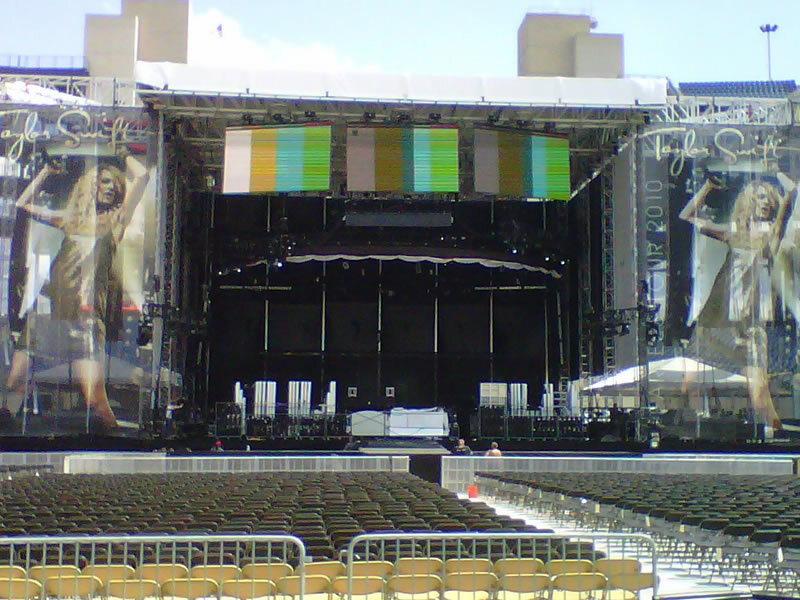 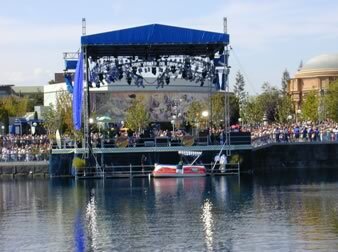 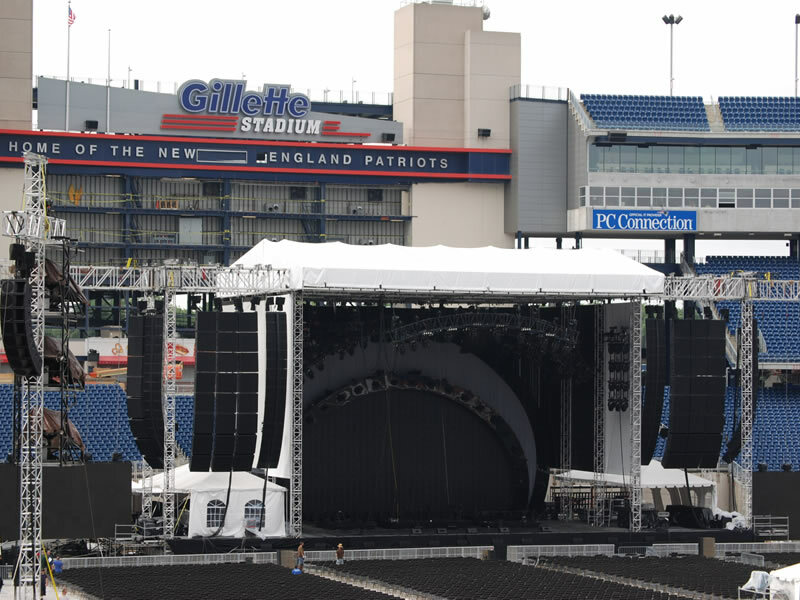 The displayed stage is a 65’ x 55’ x 40’ weight-bearing rain roof structure with two 20’ x 20’ x 40’ weight-bearing soundwings. 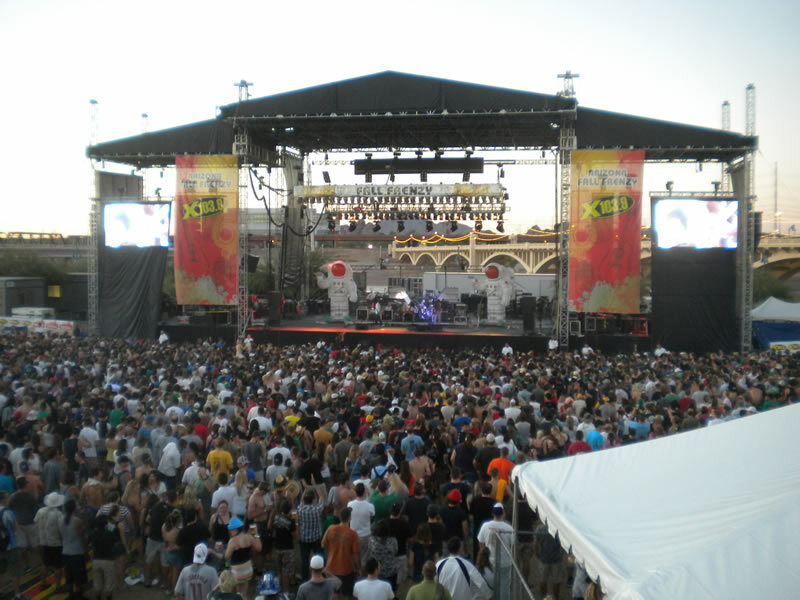 The 4’ x 8’ decks of this structure are adaptable to many different configurations. 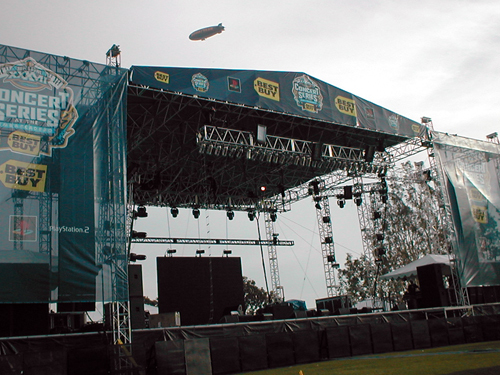 The featured picture is a 45’ x 45’ roof system with 20’ sound wings. 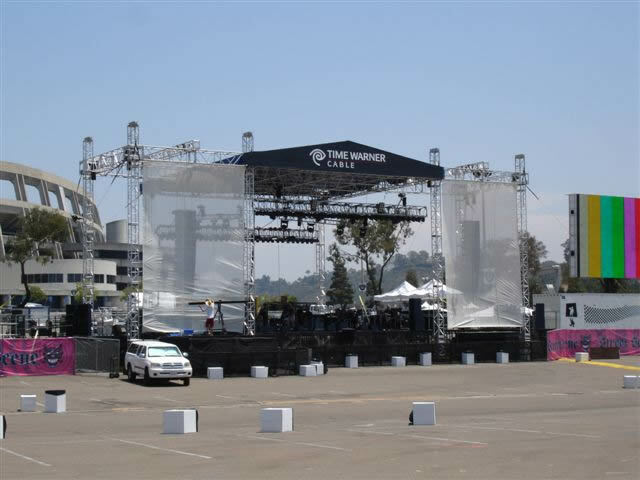 160’ x 60’ roof system: The G2 is a staging system that has a higher weight capacity, higher trim height, and an overall more versatile stage than the original pole system, that can not only hold the weight of your production but the trucks that brought it in also! 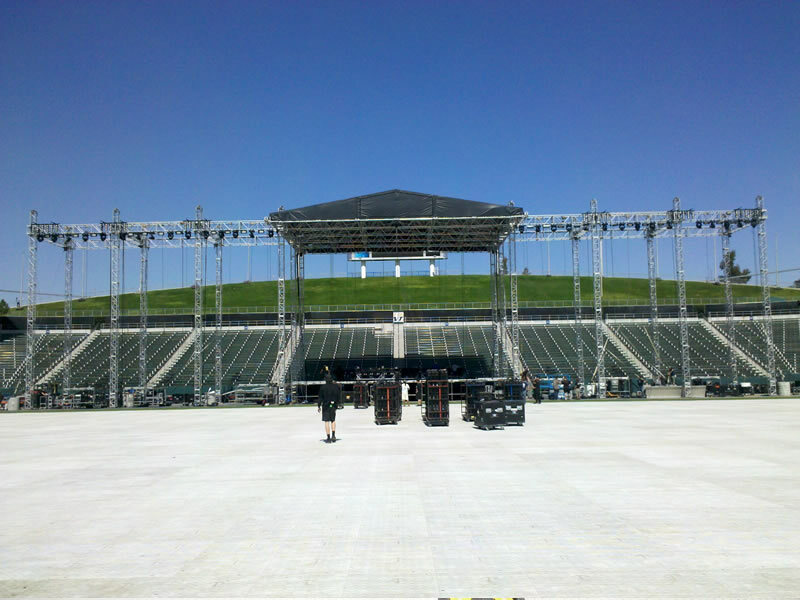 75’ x 55’ self ballasted roof system with 25’ x 20’ sound bays and 35’ video bays trimmed at 50’. 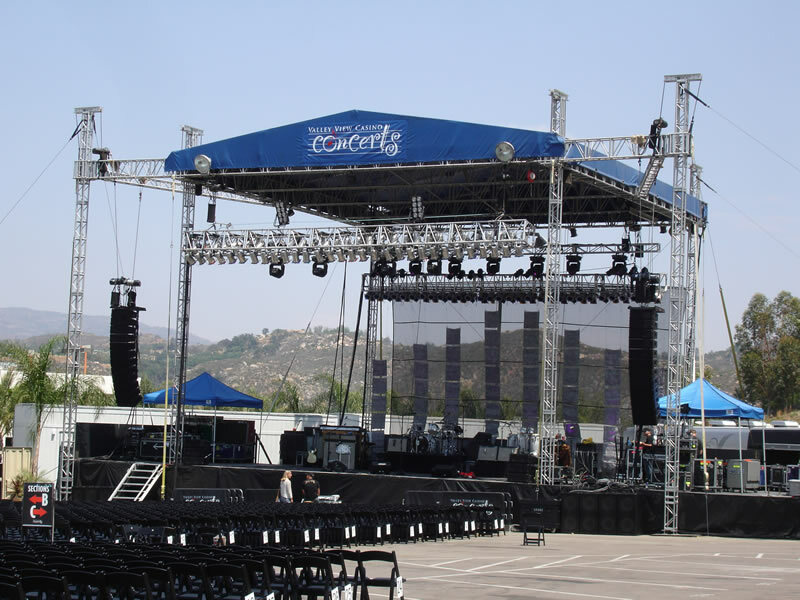 Combining its incredible weight capacities, tall trim height, and ease of setup the K-2 system has ushered in a new era in aluminum staging solutions. 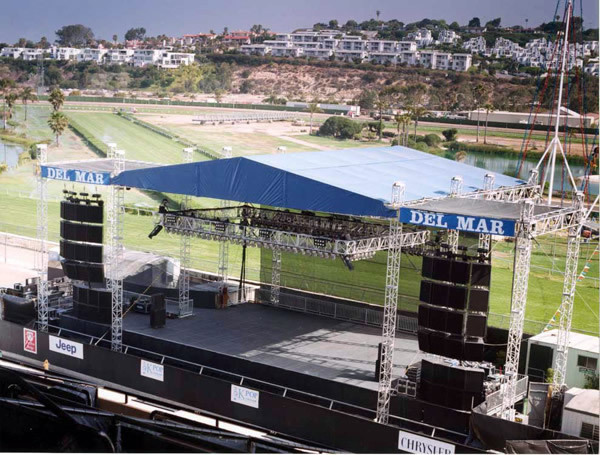 46’ x 43’ Tomcat Roof System with 12’ fly bays popular with casinos and festivals. 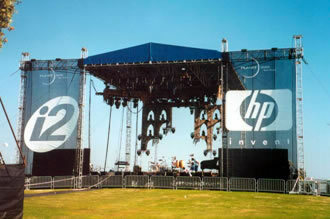 45’ x 45’ Roof System with 20’ x 20’ sound wings and custom scrims. 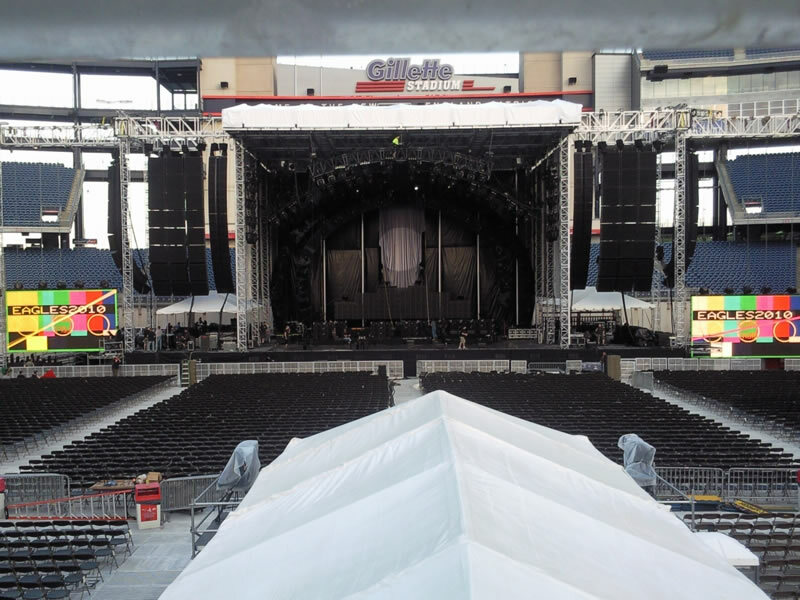 75’ x 55’ self ballasted roof system with 25’ x 20’ sound bays and 35’ video bays trimmed at 50’. 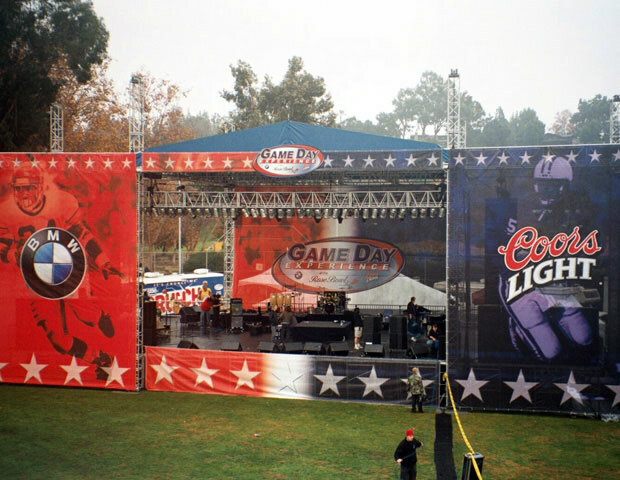 Rosebowl - Pasadena - CA. 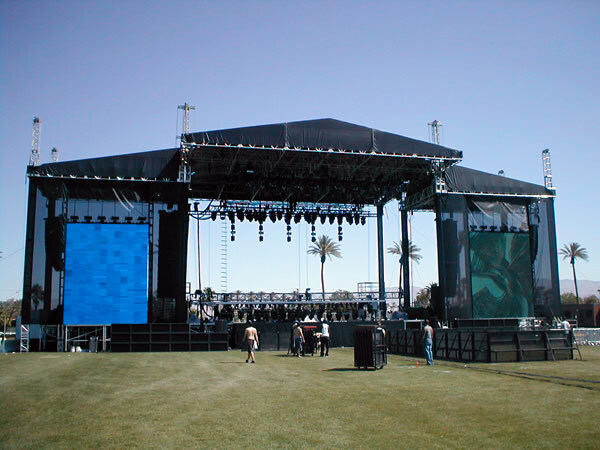 45’ x 45’ roof system wl 20’ x 20’ sound wings. 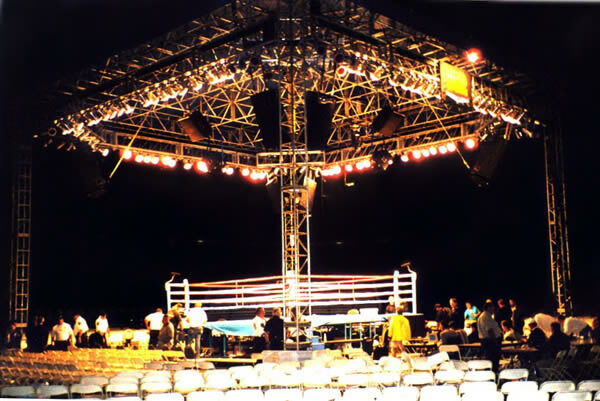 The featured system is a 45’ x 45’ weight bearing roof system in Temecula, CA for HBO Boxing special.